We will be completely honest with you, simply reading through the ten items on this list is bound to make you either sick to your stomach or a bit fatter after you try and recreate some of the combinations at home. You’ve been warned, but we’re sure you weren’t listening. Food is one of the greatest things in the world, and there are countless recipes and concoctions that can be crafted from what you have in your kitchen. There are entire kitchens around the world dedicated to creating new food items to sell to the world. Here are ten of those items, which ended up being some of the unhealthiest foods in the entire world. 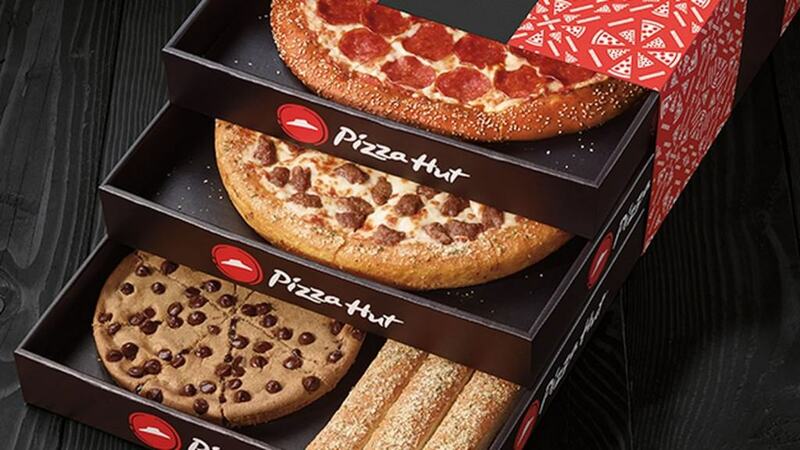 The Pizza Hut Triple Treat Box is actually okay if you are not the only person consuming the food it contains. The container features two medium pizzas, and order of french fries, an order of chickens ticks, and a giant cookie shaped like a pizza. 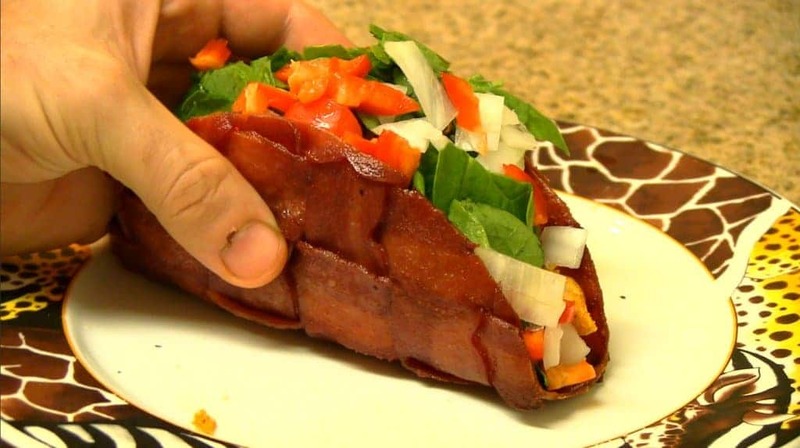 The Bacon Taco Supreme is exactly what it sounds like, a bacon weave shell loaded to the brim with spiced hamburger, sour cream, tomatoes, lettuce, and cheese, just like a normal taco. The shell is what will burst your heart the most. 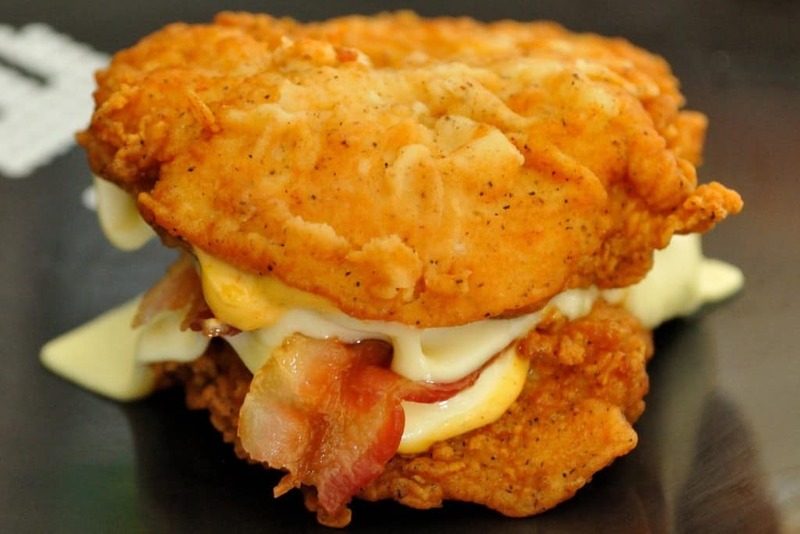 The KFC Double Down sounded like a good idea for about ten seconds after it was announced. Once you’ve eaten it, though, you’ll know how bad of an idea that is, Basically, this abomination is bacon and cheese with deep-fried chicken as the patties. 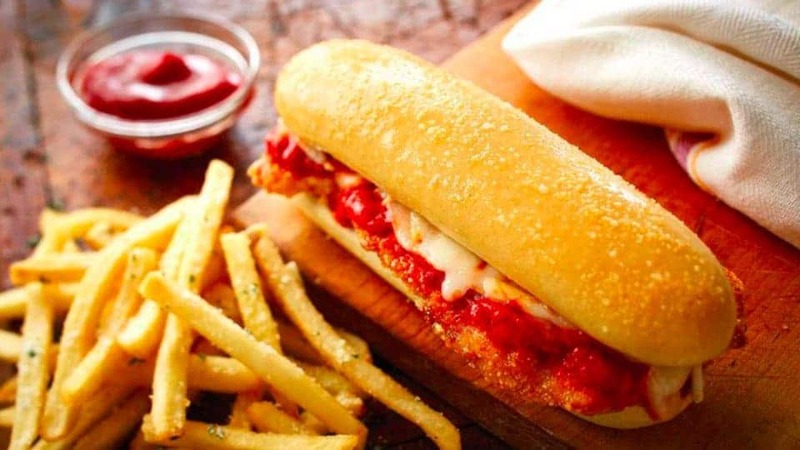 Olive Garden has some of the best breadsticks in the entire food industry, but introducing them as their own standalone sandwiches is another thing entirely. The eatery did so in June of 2015. They stuffed meats, cheeses, and sauces between two breadsticks. KFC, for some reason, loves to introduce new concoctions to the world in forms of food. 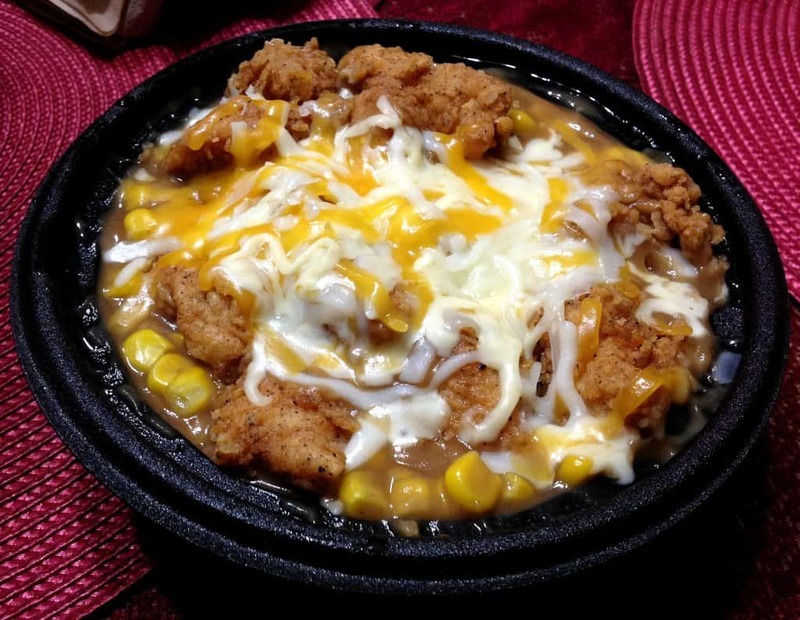 The KFC Famous Bowl combines mashed potatoes, corn, fried chicken, gravy, and three kinds of cheese into one black bowl for your consumption. 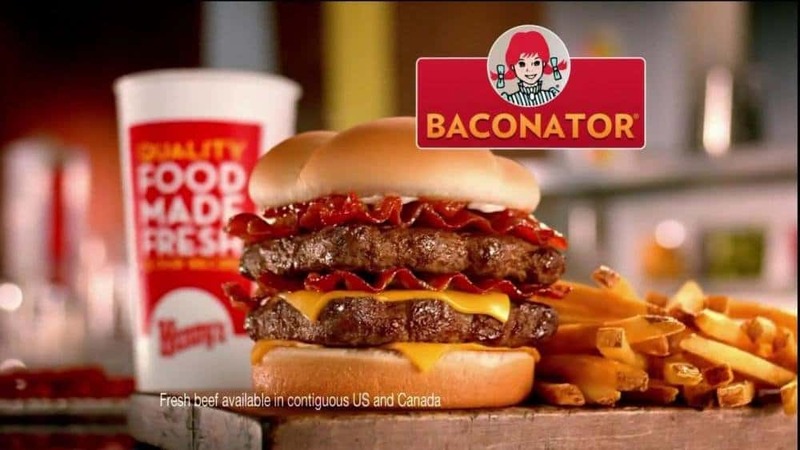 The Wendy’s Baconator makes us feel like we have diabetes just looking at it. This burger is almost lethal due to the calorie count and fat content. With two all-beef patties, all of which are layered down with bacon, mayonnaise, ketchup and American cheese. 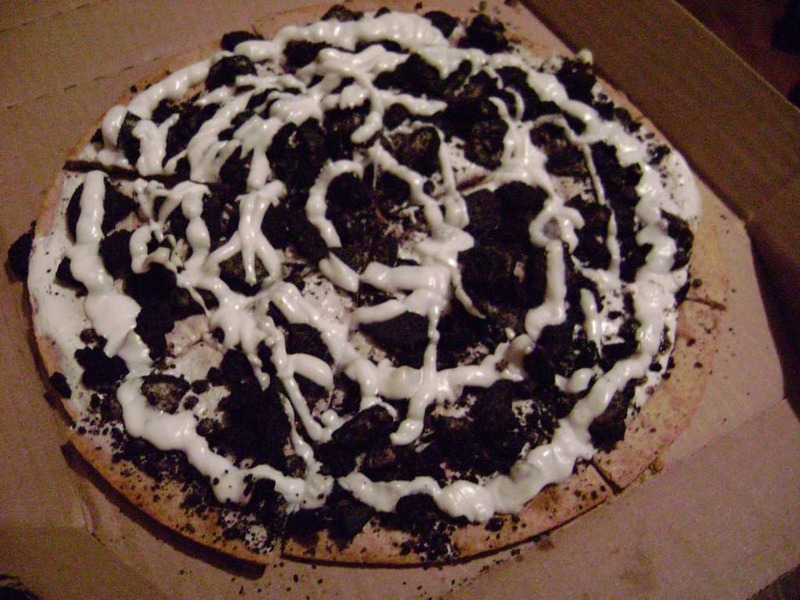 The Domino’s Oreo Cookie Pizza may appear slightly appetizing at first, but the calorie count alone is what will make you think twice about scarfing one down. Domino’s introduced the cookie pie, which is loaded with vanilla sauce and covered in cookie crumbs. 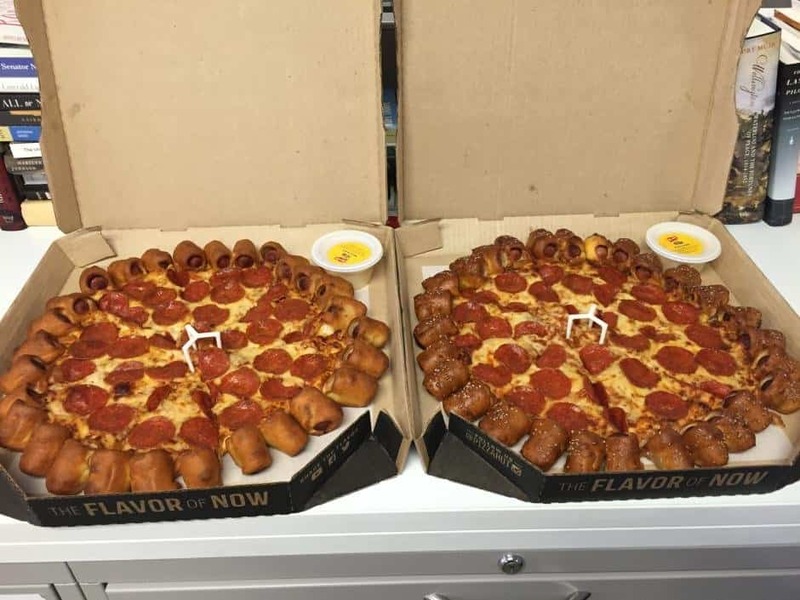 The Pizza Hut Hot Dog Bites Pizza turns the regular outer crust of pizza into 28 premium hot dog bites. The entire pizza comes with mustard for dipping sauce. 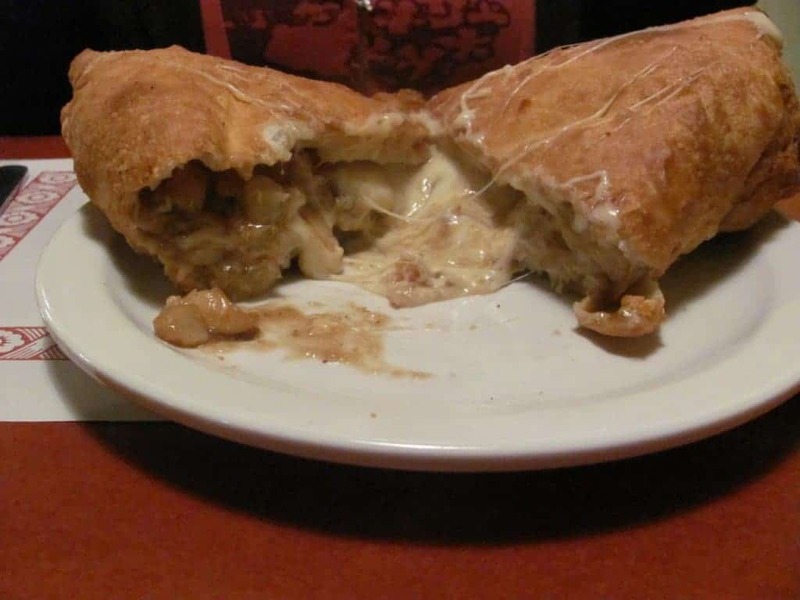 The Canadian Calzone sounds innocent enough, but this abomination features French Fries, cheese, and brown gravy, which is all known as Poutine, stuffed inside of a calzone and deep fried. One clocks in at around 1160 calories with 60 grams of fat. 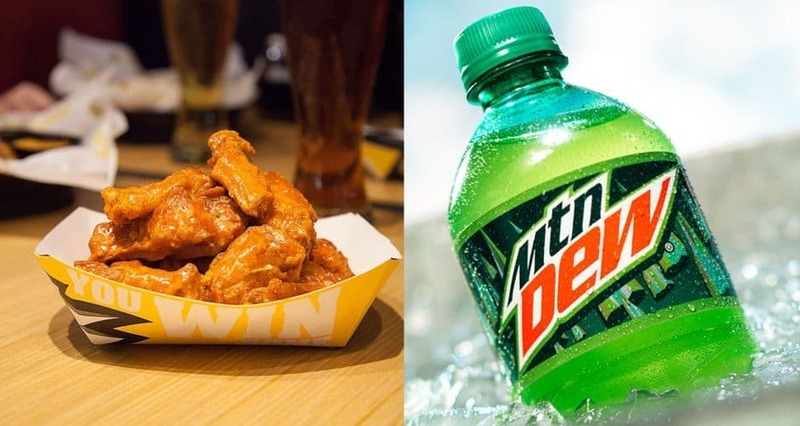 Back in December 14, 2015, Mountain Dew formed a partnership with Buffalo Wild Wings to introduce the Mountain Dew Wing Sauce. The sauce is a combination of citrus, lemongrass, ginger, soy sauce, red pepper, and classic Mountain Dew, all of which is loaded onto bone-in wings.